A hiker comes to a fork in the road and doesn't know which way to go to reach his destination. There are two men at the fork, one of whom always tells the truth while the other always lies. The hiker doesn't know which is which, though. He may ask one of the men only one question to find his way. 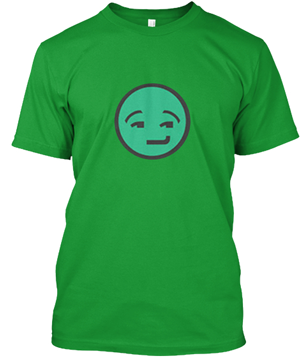 Which man does he ask, and what is the question? Either man should be asked the following question: "If I were to ask you if this is the way I should go, would you say yes?" While asking the question, the hiker should be pointing at either of the directions going from the fork. 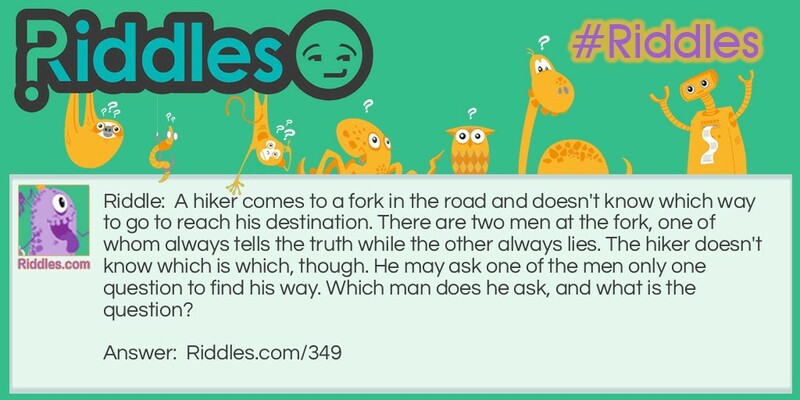 Fork in the Road Riddle Meme with riddle and answer page link.